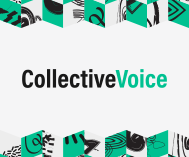 Last month, Collective Voice delivered a series of events on behalf of the Home Office to assist the implementation of the Government’s 2017 Drug Strategy. Given the nature of these events, it is perhaps surprising that our first reflection on these is the questions from the floor on the Government’s strategy on alcohol. These can be summed up as: where is it? There are estimated to be nearly 600,000 adults in England with alcohol dependence potentially in need of specialist assessment and treatment. Yet only about one in six of these are in contact with treatment services. Moreover, the number in treatment fell by 12% in the three years after local authorities took over provision of these services and this is set to fall further as councils continue to cut budgets. Not only are the harms from drinking too much alcohol well established, but so is the social return on investing in appropriate interventions. And we have a wealth of data, evidence on what works, planning mechanisms at local level, and guidance for health and well-being boards and commissioners. So, why no strategy? Government motivation for dealing with drugs is driven primarily by what is visible and scares people. The local newspaper reports someone’s teenage daughter died on the way to hospital because the party drugs she bought were not what she was told. A colleague’s toddler picks up an infected needle from under the swings in the park. Your neighbour’s back door was smashed in while he was away for the weekend. Actually, the last two fears are no longer quite as acute as they once were. Why? Because public fears have driven national drugs policy – and this has had many successes. So why do we not think of alcohol harm in the same way? Well, putting aside that the alcohol trade is legal with a powerful government lobby and that moderate alcohol use is socially acceptable, we do! We devise (useful) measures to minimise alcohol-fuelled violence at closing time or the chance of witnessing teenagers vomiting in the high street on our night out. But 600,000 people quietly placing a vast burden on our hospitals and health systems is mostly just that: quiet. Lives shortened by alcohol register in the public sympathy as a shame and with marginally more sympathy than where heroin is implicated. But we give little or no thought as to alcohol dependence often being the consequence of a difficult life or childhood that preceded it, as well as the cause of more misery. Admittedly, the regular banging and frightened screams next door when a family member comes home drunk are not so quiet. But we are. The impact on the family’s welfare is devastating, not just in health and financial terms, but psychologically too, often resulting in actual trauma. But, even when we care, this problem has been around for so long (centuries, maybe) that we do little more than shake our heads, feeling powerless: “It’s so sad how that family has been torn apart by alcohol”. And that’s it. Quiet again. Until next time. Perhaps alcohol-related harms are so much closer to home for all of us that it is easier not to shine a light on them. Perhaps they are so embedded in our society that we don’t believe substantial change is possible. Maybe the Government looks at the numbers and doesn’t have the stomach for it. After all, the Supreme Court has declared it legal to set a minimum price for each unit of alcohol sold, but the Government seems unwilling to act on this. Modelling by the Sheffield Alcohol Research Group suggests that setting a minimum unit price of 50p in England would save 525 lives a year, reduce hospital admissions by 22,000 and cut the cost of alcohol to society by £3.7 billion over 20 years. This would also reduce consumption among those drinking at harmful levels, while having little effect on the majority of drinkers. To be fair, the Supreme Court decision came only days before the November Budget, in which the UK Government made the weaker intervention of a new tax band for white cider. But now the Government has an opportunity to set a much stronger foundation to underpin the range of interventions that it requires of local government. The Government is the only institution that has the power to pull all the levers in the way it has promised to do in implementing its well-constructed and wide-ranging Drug Strategy. The number of people dependent on alcohol and potentially in need of specialist treatment who are not even in contact with treatment services is heading towards half a million. One in six people are not getting the help they need. For once, we should make more noise about alcohol and ask the Government of its alcohol strategy: where is it?